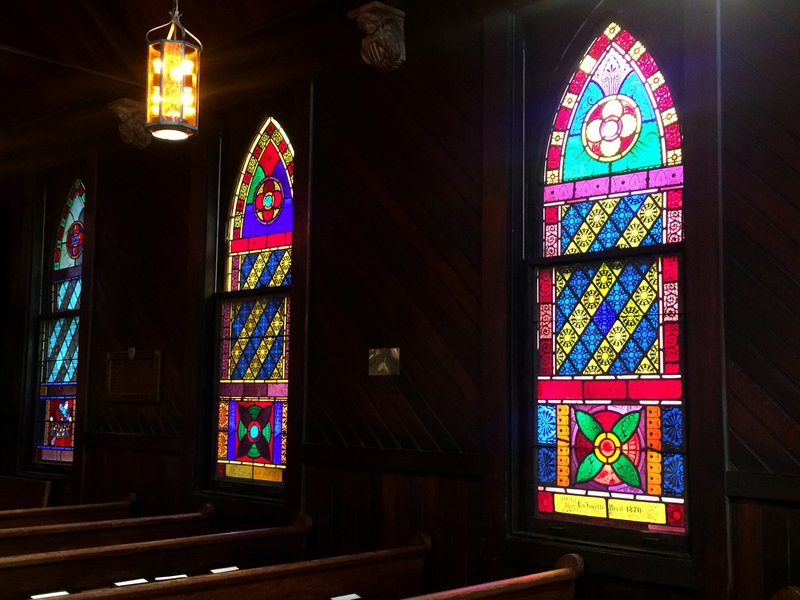 Between April of 2017 and December of 2018, Helios Art Glass undertook a series of restoration projects to halt and reverse the deterioration to 11 Victorian stained glass windows at Christ Church in Sausalito. 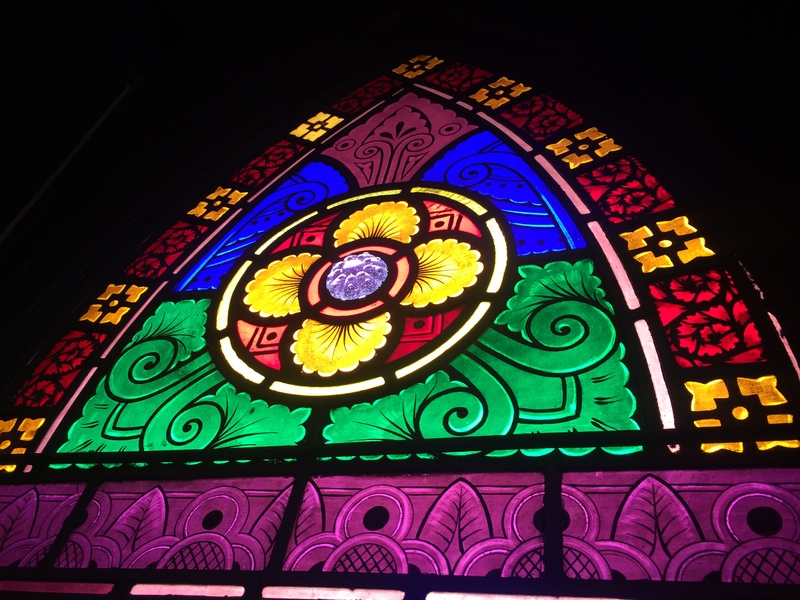 The first of these historic stained glass windows was originally installed in 1884 and were created by John Mallon (1828-1897) in San Francisco. 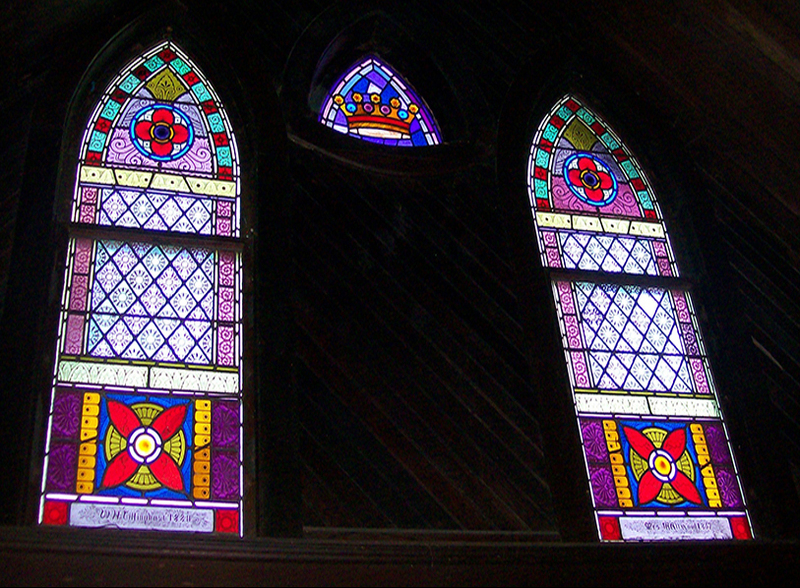 Each window has a unique, bold color palette. 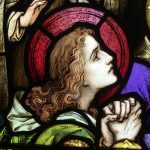 In order to to achieve the unifying patterns consistent throughout the church, Mallon used a stencilling technique in conjunction with traditional hand painting.